Blessed with the power of water magic and membership in the Born Worlds' most powerful Light Born family, Opal Penhollow is sure she must be destined for better things than marrying William English, the man who betrayed her best friend and cousin, Ruby. William's one goal is to win over Opal Penhollow's ice-cold heart. He was wrong to betray Ruby and he knows it, but how can he be completely penitent when he still stands by the reasons behind the betrayal? When Opal's grandfather sends William to America to find Ruby's mother, Opal finds herself trapped in the Veil—the one place in the Born World where she should not be. Just when William has everything he's ever wanted in his grasp, an unexpected turn of events will make him betray not only Ruby once again, but the entire Penhollow family as well. How will he save Opal from the Veil now? He won't be able to do it alone; he'll need to ask for help from the one woman least likely to want to see his face again: Ruby. 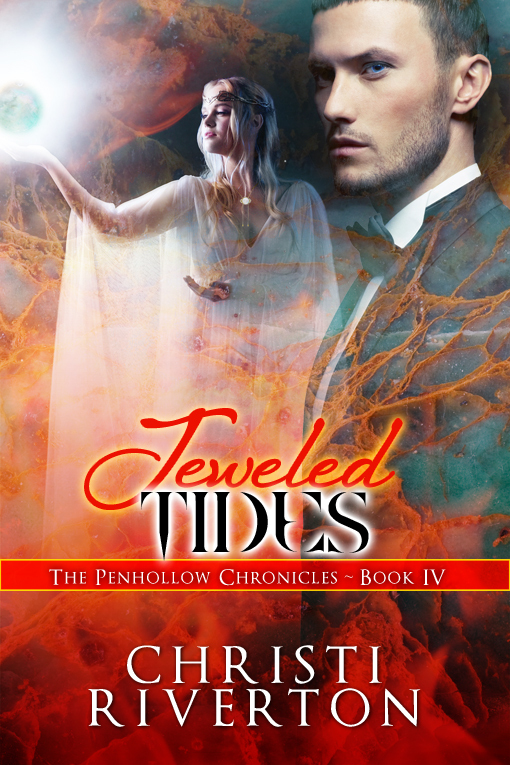 Christi Riverton is the author of The Penhollow Chronicles. She was born and raised in Dubuque, Iowa; where she still currently resides. She is happily married and the mother of five children. After many years in management, Christi finally decided on New Year’s Eve of 2011, to chase her dreams and pursue her lifelong love of writing. She hopes to leave her readers with great memories, disturbing experiences, new characters they will love or hate — and always wanting more.